ACE School in Plymouth is a school for all children who have needs outside of mainstream education. They help deliver personalised learning experiences supported by a dedicated team of teachers. 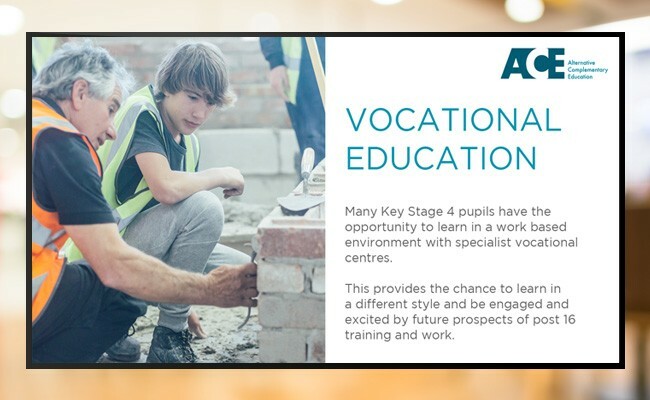 The school wanted a way to display important information for parents and pupils instead of using posters and leaflets in the main reception area of the school. ACE purchased a 55″ Samsung Smart Signage Display because they wanted business class digital signage at the best possible price. Using Signagelive’s cloud-based digital signage solution, designed for use on the Samsung Smart Signage Platform, the requirement for an external media player was removed. Using the screen’s built in WiFi module, the school were also able to reduce infrastructure costs. 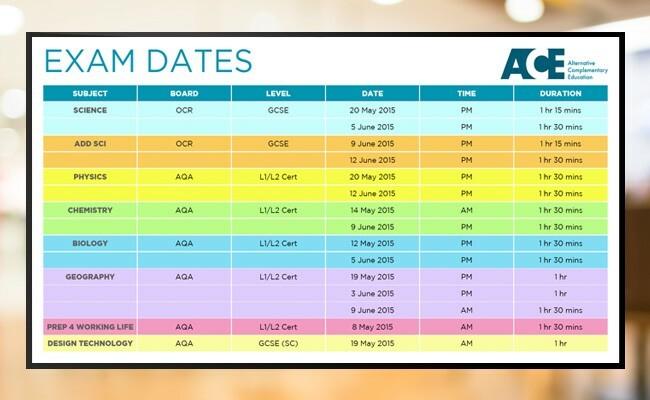 Digital Messaging Company put together an end-to-end solution and worked with ACE to develop a library of bespoke, branded messages including school exam timetables, information to parents, term dates and various other school related information. 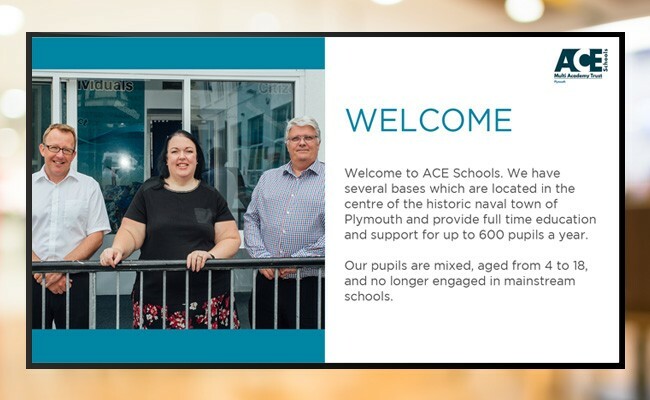 ACE are extremely happy with their digital signage solution that DMC provided to them. The screen keeps students, parents and staff updated with the latest school information and everything is managed quickly and with minimal fuss by DMC. The team are on hand every day to create new content for the school, as well as handle any technical issues which may arise. A very satisfied customer!